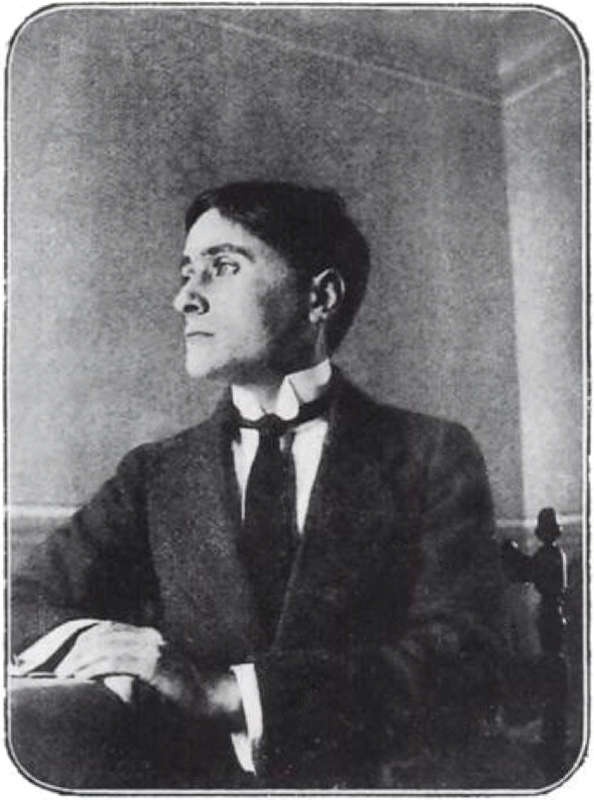 From the age of 20 Jean Metzinger was able to support himself through his art. By 1903 he was a follower of the Neo-Impressionist Henri Edmond Cross and from 1904 to 1908 he was painting in a divisionist style using large cubes of colour to create a mosaic effect. These paintings also betray the influence of Symbolism. In a contemporary review the highly influential critic Louis Vauxcelles made a telling observation – ‘M. Metzinger is a mosaicist like M. Signac but he brings more precision to the cutting of his cubes of colour which appear to have been made mechanically’. Later, these words would appear prescient as Metzinger would go on to be one of the originators of Cubism. 1900: He is a student at the Académie des Beuax-Arts in Nantes. 1903: Sells three pictures at the Salon des Indépendants. Moves to Paris. 1904: Exhibits at the Berthe Weill gallery and the the Salon d’Automne. 1906: He is elected to the hanging committee of the Salon des Indépendants. 1907: Metzinger and Robert Delaunay shared exhibition space at the Berthe Weill gallery. Meets the poet Guillaume Apollinaire. 1911: Metzinger, Delaunay, Lèger and others (but not Picasso) exhibit in a separate room at the Salon des Indépendants. This is the first organised presentation of Cubism. 1915: He signs a pacifist manifesto but serves as a stretcher bearer during the Fist World War. 1920: He is in Boulogne where he paints in a less fragmented form of Cubism.